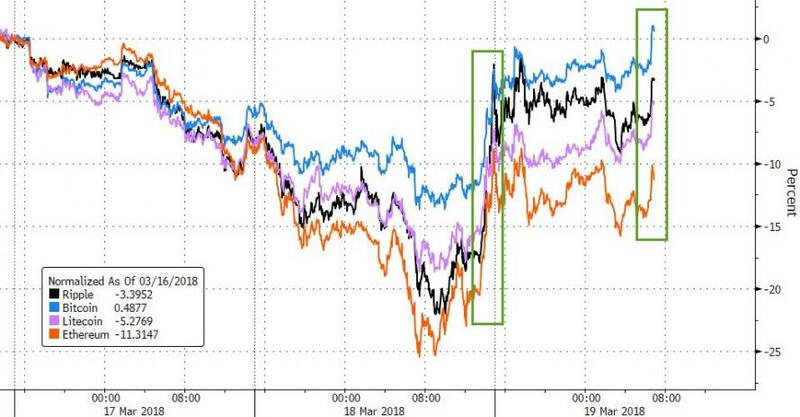 Following the 'good' news that G-20 will not be cracking down on cryptos, removing the FUD from the weekend, Bitcoin and its peers are extending gains after Bank of Japan's Governor Haruhiko Kuroda told reporters in Buenos Aires at the G-20 meeting of central bankers and finance ministers that "cryptocurrencies can be a plus for the financial system." However, in the past month, half of bitcoin trading on exchanges has been done versus the Japanese yen (JPY), with volumes much higher than those versus the US dollar (USD). The Japanese retail community have long been active participants in the foreign exchange market, particularly via margin accounts. They tend to sell JPY and buy foreign currencies with high yields, leveraged up to 25x. Bitflyer, the largest bitcoin exchange in Japan, offers its clients up to 15x leverage but with volatility that is 10x that of USDJPY. Bitcoin trading volumes versus JPY in January were only around 2% of the margin FX trading account volumes. An appreciating JPY (as we expect) could move some of this margin trading volume onto cryptocurrencies. One risk to watch out for is if the Japanese financial regulator confirms that it will lower the FX trading leverage cap to 10x. 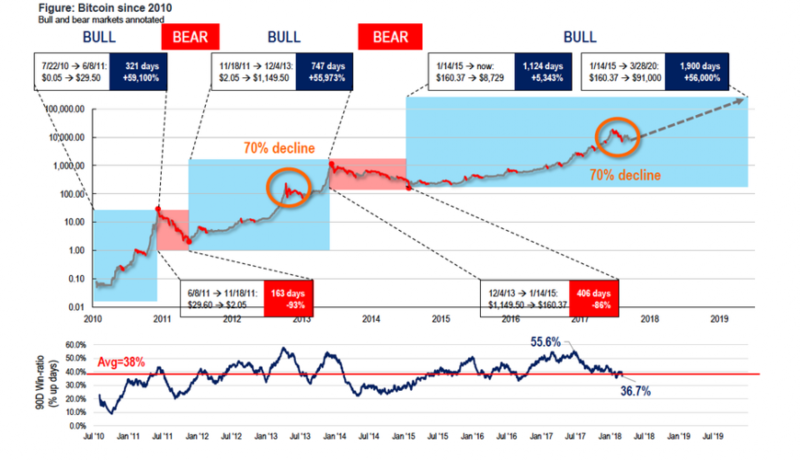 As a reminder, in case you were wondering, here is why Kuroda wants a strong Bitcoin. In December, BOJ governor Haruhiko Kuroda once again refused to slam the cryptocurrency as fraud, as so many of his peers have done, and instead merely expressed an opinion that current Bitcoin market movements were the result of speculative trading. 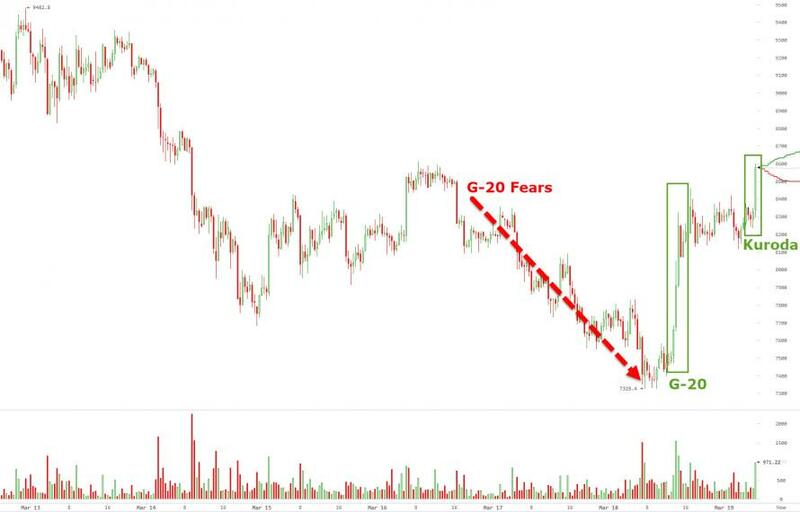 He also commented that price movements were abnormal, even if clearly beneficial as the below analysis reveals. 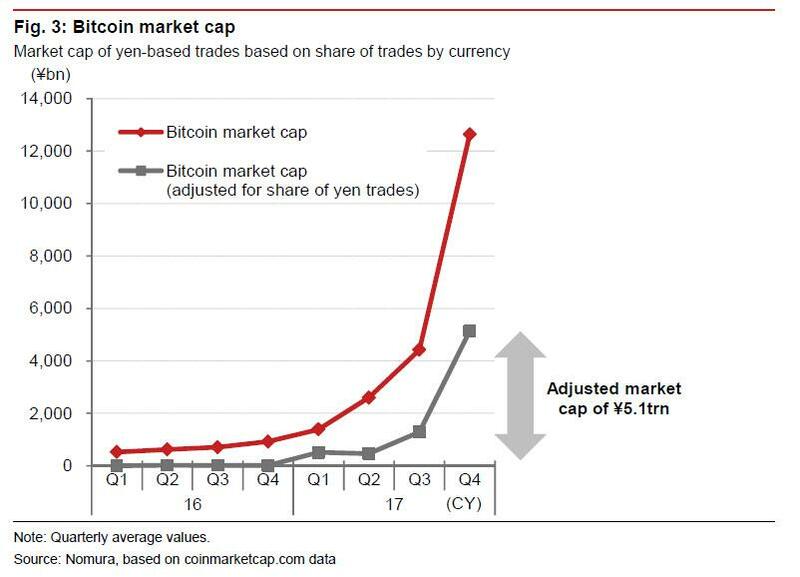 Figure 3 shows Bitcoin market cap and market cap divided by the weighting of yen-based trades. 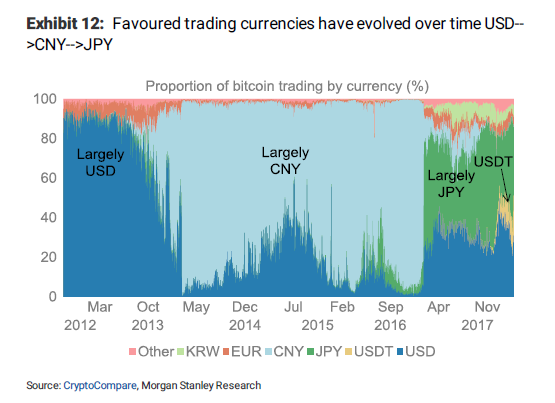 Assuming that the weighting of yen-based trades is equivalent to Bitcoin holdings by Japanese people, we estimate that Japanese people hold Bitcoin with a market cap of about ¥5.1trn. Assuming that the bulk of this ¥5.1trn belongs to Japanese investors, the scale of this increase in assets can hardly be ignored. According to a 27 December 2017 Nikkei article, the number of Japanese people holding Bitcoin has reached 1mn, and assuming average holdings of 3-4 Bitcoin per person, this is broadly consistent with our estimate. Meanwhile, the Bitcoin price rose by around ¥866,000 between Apr-Jun 2017 and Oct- Dec 2017, on which basis we estimate unrealized gains on Bitcoin held by Japanese people of roughly ¥3.2trn (3.7mn × ¥866,000). 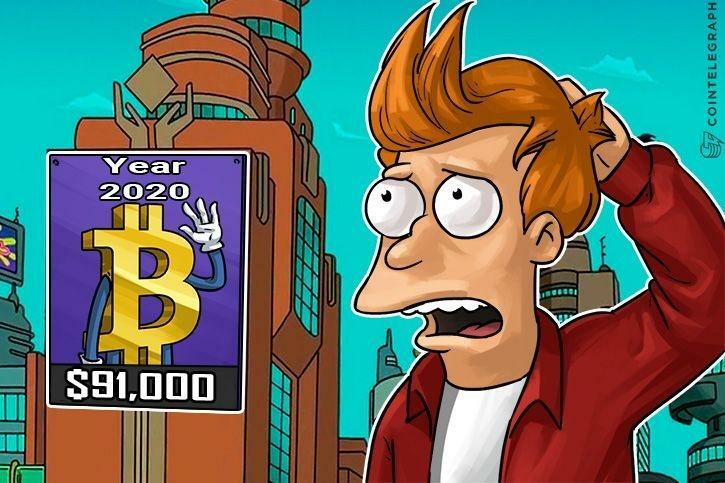 This brings us to the next logical step, the one we have hinted repeatedly is what one or more central banks may well be after, namely the "wealth effect" generated by bitcoin appreciation, and the resultant boost to consumer spending, and therefore GDP, which a global cryptocurrency bubble would enable.